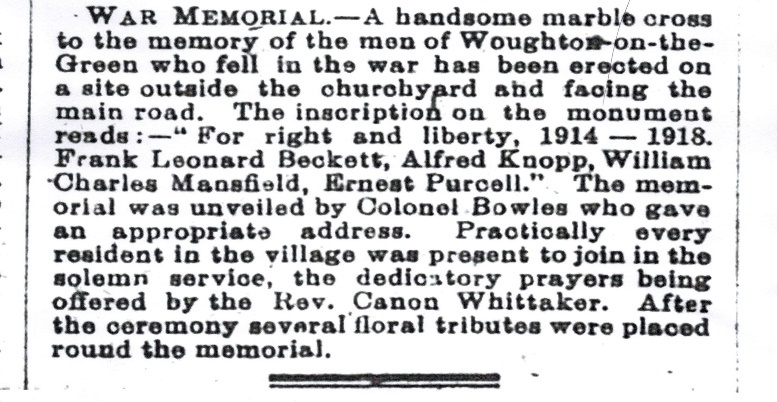 In this Centenary year of the end of the First World War over 140 people gathered around the Woughton Memorial for the civic remembrance of all those Woughton villagers who lost their lives, who went to war and the men, women , children and communities who kept the ‘home-fires’ burning. 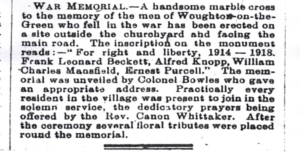 It was also a time to remember all our serving men and women. 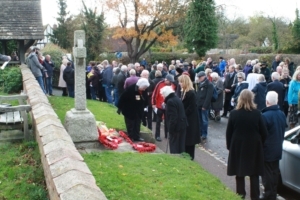 Wreaths and flowers were laid by descendants of those remembered on the Memorial and lych gate as well as by the Parish Council, St Mary’s Church and Councillor Terry Baines as ‘Forces Champion’ for Milton Keynes. Many others also paid their own personal respects to family and friends and serving regiments and personnel. 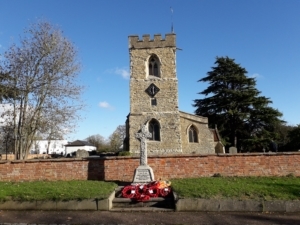 Refreshments were then enjoyed in the church with the opportunity to gather as a community and view a pop-up display of Woughton Heritage work lo oking at the lives of some of those remembered. 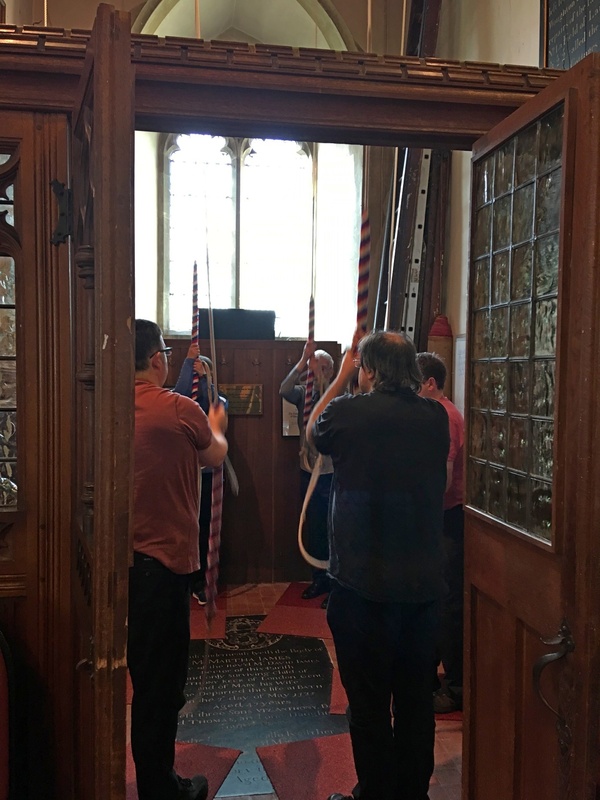 At 12.30 the St Mary’s Church Tower Team began to ring a quarter peal , the ’Armistice Double’, with half muffled bells, written especially for the occasion. 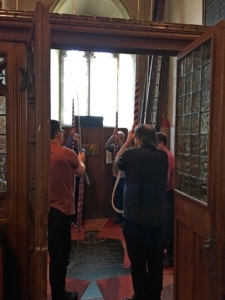 This coincided with other bells being rung across the country. 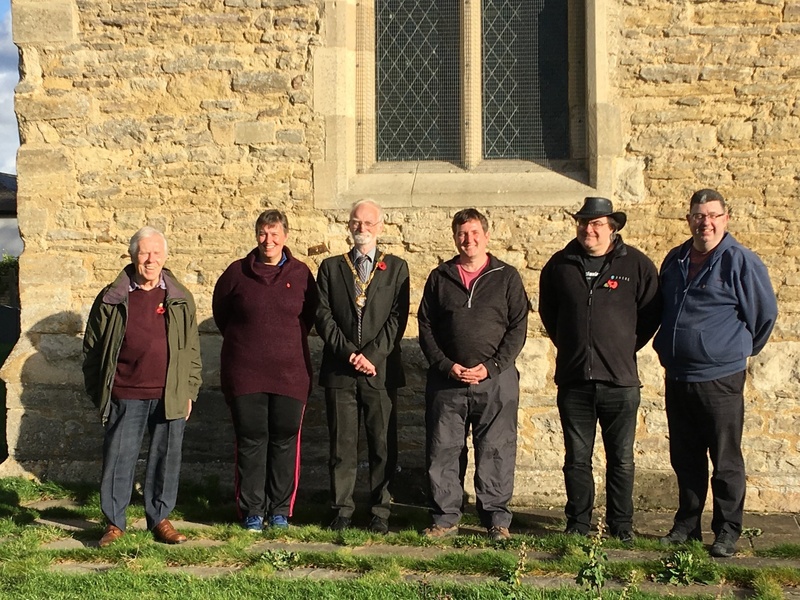 The Mayor, Councillor Martin Petchey rang as part of the team. An historic moment in the making…. You can hear a few minutes of this most beautiful peal by clicking on the play button below.